How does it sound to get paid to travel? It certainly is possible. And, it’s getting easier. From freelancing, to travel blogging, to running a digital business–there are options. Today Zach Zorn, a digital nomad and fellow blogger at Money Nomad, runs through the best travel jobs and businesses to start right now. Whether your goal is to take a three-week trip or become a full-time nomad, here are the best ways to get paid to travel right now. Often times getting paid to travel seems too good to be true, but I can attest that with some effort you can be traveling while making money soon. In this post, I will be explaining ways that I have been able to generate income while traveling to Costa Rica, Cabo San Lucas, Europe, the Caribbean and beyond. I hope that my unique approaches will inspire you to develop your own formula of creating income while traveling. Don’t be afraid to think outside the box and to try different ideas, as you will read, my most profitable travel ventures are atypical. I’ve had a lifelong passion for saltwater fishing as I grew up near the ocean in Southern California. While the majority of time spent fishing is just for fun, the month of October is dedicated to tournament fishing in Cabo San Lucas, Mexico. In 2016 I was invited to work on a fishing boat that would be fishing in the Bisbee’s Black and Blue Marlin Tournament, the richest fishing tournament in the world. This is a three-day tournament that attracts the best fishing teams in the world competing head to head. The entry fee is not cheap, but the reward is great. $1,000,000 per day is allotted to the team that catches the biggest fish of that day. 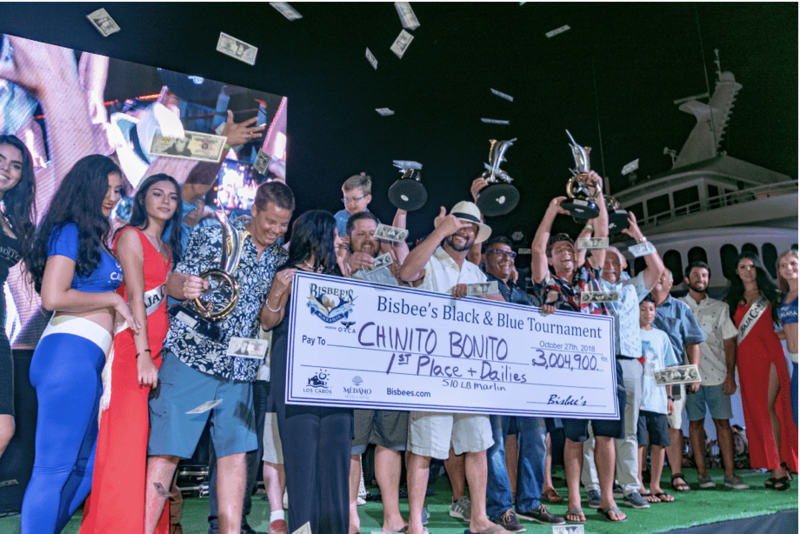 In my first tournament, our team caught a 416lb Black Marlin that earned us $685,000 and a 2nd place finish. After this success I realized that there was actually substantial money in fishing, and that I could get paid to travel around on boats doing what I love. The following year, 2017, I was approached by a boat owner to help him put together his own fishing team. After successfully putting together a team, we ended the tournament with a 442lb Blue Marlin that missed a million dollar payday by 14lbs, however we did take 5th place overall. With two years of success, it was time to try again this year, 2018. After months of planning and coordinated, we landed a 511lb Black Marlin on the last day of the tournament that earned the team 1st place overall and a $3,004,900 check! The takeaway from this story is the fact that three years ago I had zero tournament experience, but I saw an opportunity to travel while getting paid, and surrounded myself with people to help make this dream a reality. Set your mind to a goal that you want to attain in the future, and then ask yourself what needs to be done in order to be there in 1, 2, or 3 years. Start planning now, as it’s easy to get sidetracked when you do not have a plan and goal established. R.J.’s note: I asked Zach to start with this story, to help expand your mind as to the options available. Obviously, saltwater fishing isn’t for everyone. But the fact is there are hundreds of ways to travel the world and get paid. Let Zach’s story open your mind to the possibilities, especially if you have a hobby you’re passionate about. I’m sure you’ve heard countless people share their success with Fulfillment by Amazon, FBA. As someone who has been an Amazon seller for over a year, I can confirm that becoming an Amazon seller is perfect for those who want to travel but continue to earn income. Depending on the route that you take, you can choose to never touch or see the products that you sell, which can be very helpful for those digital nomads that can’t receive large shipments. In my case, I would restock my inventory when I was home as I like to inspect each product and place my own labels. Since an Amazon FBA business operates 24/7 with little involvement, I was able to help deliver a boat down the East Coast last year while earning several hundred dollars per day because of Amazon. Selling on Amazon allows you to work anywhere in the world, as long as you have an internet connection. You will need to spend some time communicating with suppliers, however everything from product photos to descriptions can be outsourced if you truly want a hands-off business. If you’re interested in starting an FBA business, check out Jungle Scout, their tools helped me be successful from the start. In my first 5 months, I did roughly $23,000 in sales while being out of the country for a majority of this time. I need to mention that I had no e-commerce or online selling experience prior to starting my Amazon business. As I am always looking to leverage technology to build wealth, I came across a profitable venture of buying and selling affiliate websites. At the beginning of 2018, I purchased a technology review website, five months later I sold it for roughly a $40,000 profit. I consider purchasing websites to be investing in “e-real estate” and a very lucrative way to earn a substantial income. 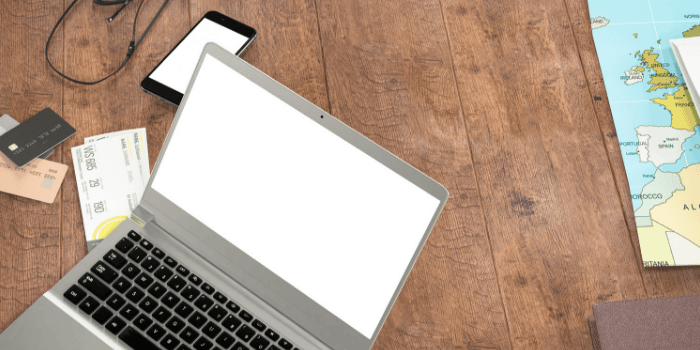 One benefit to website ownership is the fact that a website can be operated and managed from anywhere in the world, and can be accessed by anyone. While visiting Tahiti this year, I spent several hours each day creating website content, replying to comments and planning future content. Not only are websites a great way to get paid while traveling, but they also force you never to sit idle. With website ownership, there is always something you can be doing to improve the user experience, improve content or increase monetization, never use the excuse that you’re bored again! There are two approaches that you can take with website ownership. You can purchase a website with the intent to hold it for a long duration, earning fairly passive income each month, or you can take the short term approach and attempt to build the website up and then flip it in just a few months. I’ve used both methods, with the flipping approach working well for me. Do you have a skill such as programming, logo design, writing, data entry, etc? Consider making an account on Upwork and/or Fiverr to promote the services that you can offer. Be sure to create a well detailed, professional, and error free profile for potential clients to review. The allure of Upwork or Fiverr is the fact that you can complete jobs anywhere as it’s all remote work and on your schedule. Yes, a client will probably set a due date for the job, however you decide when to work on it. I’ve spent thousands of dollars outsourcing projects to workers on both platforms, and Rob, the founder of Money Nomad, has earned thousands of dollars completing work on Upwork while traveling abroad. While the options above allow you to work from anywhere in the world, there are ways that allow you to get paid for traveling. Here are two good options for making money from traveling. While still in the planning stages of your trip, reach out to a few hotels that you are considering staying at. If you own a website or large social account, pitch to their marketing director a trade for marketing in exchange for lodging. In your pitch explain what you can offer to the hotel, and the metrics that make your site/social account valuable. For example, Rob of Money Nomad contacted a hotel prior to his trip to Costa Rica. The hotel compensated him with free stay, and in return, he wrote several articles on the website that discussed the hotel, and also gave the hotel high quality photos that they could use within their own marketing. In some instances you may receive monetary compensation, but a free hotel stay is never a bad deal. Just be sure to clearly outline what you can offer to the hotel. I created a “media kit” that I send out, which is a one page PDF that outlines the important qualities of Money Nomad that a hotel cares about. Begin to document your travel experiences and create content that is interesting, inspiring or helpful. Within your content, you can naturally place links to products or services that you used in your travels. These links can be affiliate links that earn a small commission if a sale is generated. On Money Nomad we have affiliate links to Trip Advisor, Turo, Airbnb, Orbitz, etc as our content revolves around travel and we use these companies. Make sure you stand behind any program or service that you are an affiliate of, as you should only recommend companies that you have experience with. I’m a big advocate of creating content that people are already searching for on Google and other search engines, so use programs like Google Keyword Planner or Ahrefs to find topic ideas within your area of interest and expertise. 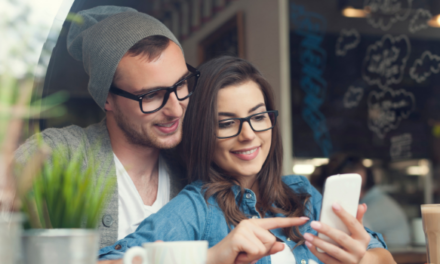 By creating content that people are already search for, there is a better likelihood of people finding your content organically, which is the ultimate goal. Whichever option you decided to take, be sure to deliver value to your readers or customers. With some creativity and a desire to succeed, you too can be earning income from nearly any destination in the world. I sold a website while on a boat 30 miles offshore Mexico, which country will you be in during your next business venture? Zach Zorn owns an FBA business, has a portfolio of websites and is the owner of MoneyNomad.com, a website that helps entrepreneurs with travel, remote work, finances and creating additional revenue streams. When Zach is not working on his businesses, he is either selling boats or fishing offshore for tuna, marlin, and other pelagic fish. If you have any questions, feel free to contact Zach at zach@moneynomad.com.